Senior Helpers franchise owners are uniquely positioned to capitalize on the booming need for in-home senior care. Families’ aging loved ones need more than helping hands to assist around the home. They need a team of caregivers and professionals that bring the clinical expertise in Alzheimer’s and dementia for which families are asking, and provide professional guidance on short- and long-term geriatric care decisions. With Senior Helpers, you provide the professionalism and expert care that families and their aging loved ones require. Senior Helpers has been a leader in pioneering advanced Alzheimer’s and dementia care for clients with its breakthrough Senior Gems® program. Developed by renowned occupational therapist Teepa Snow (MS, OR/L, FATE) and recognized by leading health care organizations including the Alzheimer’s Foundation of America, Senior Gems® positions franchise owners to help clients age with dignity and maintain the highest quality of life possible. The total initial investment for a Senior Helpers franchise will range between $81,300 and $117,300. This number includes the franchise fee, and ranks the Senior Helpers ownership investment among the most reasonable initial investments in franchising. Senior Helpers’ on-going royalty fee is only 5% of gross sales. This low royalty allows owners to reinvest cash flow and allocate earnings in the manner they believe will benefit them in the short and long term. Ensuring your Senior Helpers franchise has the capital to propel it to its fullest potential, applicants should make sure they have a stated net worth of $450,000 and liquid cash on hand of $100,000. This enables the franchise owner to build a sustainable business that is ready to tackle the first year of business and beyond. Join The Proven Team With A Proven System. You are not on your own when you open a new business. Senior Helpers franchisees are surrounded by a world-class team that has helped hundreds of franchisees get started and operate their business. We will walk you through a proven system through which so many of your peers are enjoying success. * And from training and on-going support to marketing and sales support, Senior Helpers invests in you as you invest in your business. Part of the benefit of joining a franchise system is the system itself and being properly trained on how to execute the system. 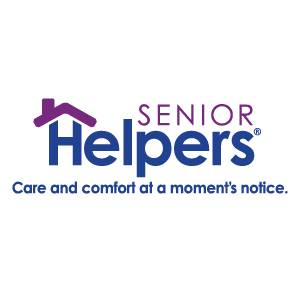 At Senior Helpers we are firm believers that people who receive continual training at all levels within the organization can make their own success faster and to greater fanfare. You have access to the renowned Senior Helpers University as a Senior Helpers franchisee. Senior Helpers University is an organized, multifaceted program designed to address the training needs of new franchise owners, existing franchise owners, franchisee support staff and our caregivers. It has been developed both internally by our Vice President of Training and Development and by using external subject matter experts. The result is a dynamic program targeted at continually enhancing the knowledge of our team. When you are awarded your first Senior Helpers franchise, you get to start your training by attending Senior Helpers Orientation, which will familiarize you with the Senior Helpers system. Then, our trained experts will take you through a very comprehensive and detailed pre-opening task list that is extensively covered in training. Training even includes visits and working days with our staff at Senior Helpers’ corporate offices in Baltimore, Maryland to offer you the tools you need to successfully operate your business. Every Senior Helper franchisee opens their doors with the benefits of decades of franchise experience behind them. The sharpening of your skills does not end after your doors are opened. Every Senior Helpers franchisee is offered on-going trainings that are conducted through webinars, conference calls, written modules, flash tutorials, and other media so you can learn at your own pace and according to your own schedule. While you will be trained in the operation, financial and marketing basics of successfully running your franchise, your hired caregivers will also receive training that will help them maintain Senior Helpers’ track record of having highly rated in-home caregivers. We provide caregiver-specific, module-based training that enhances each caregiver’s skills so they are able to deliver superior customer service and excellent in-home care.